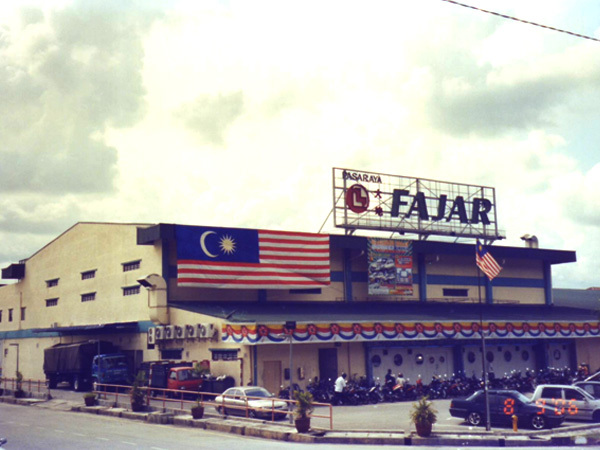 Fajar was founded in 1984 and was based in Kuala Lumpur, Malaysia. 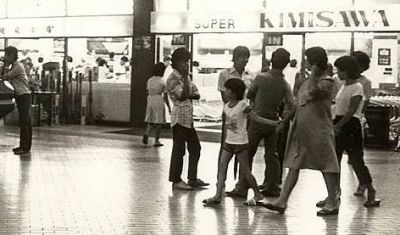 The supermarket chain was super popular back in the '80s and had multiple branches all across Malaysia. 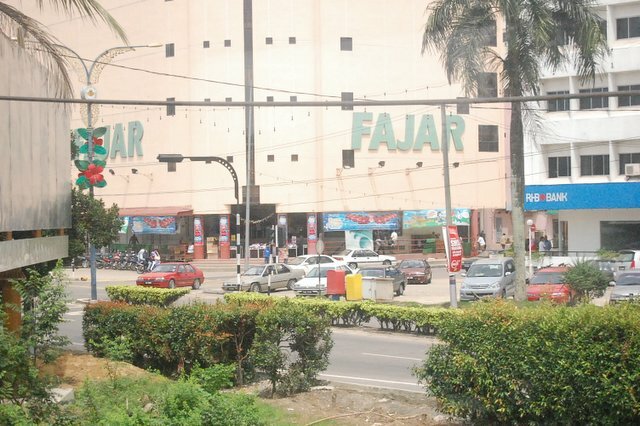 If you lived near a Fajar outlet, you might recall stopping by for a quick grocery run. According to this post on Lowyat and Bloomberg, Fajar Retail Enterprise Sdn. Bhd. was a previous subsidiary of departmental chain, The Store - which still exists today. According to Bloomberg, Fajar Retail Enterprise Sdn. Bhd. went out of business on 16 May, 2007.
International wholesaler Makro was first opened in Amsterdam in 1968. 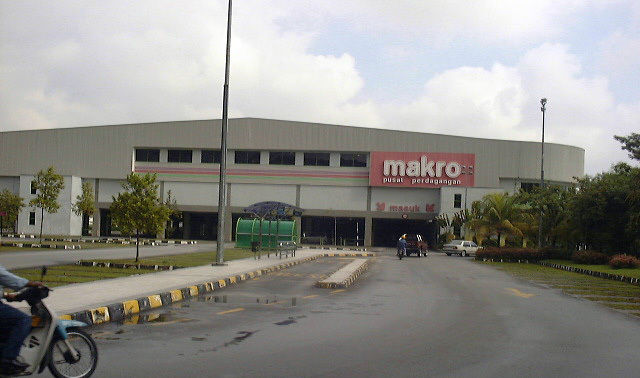 According to an article by The Star, Makro was the first hypermarket to operate in Shah Alam, Selangor in 1993. Some might recall that in order to shop there, you needed a Makro Trade card just to gain access and buy goods. 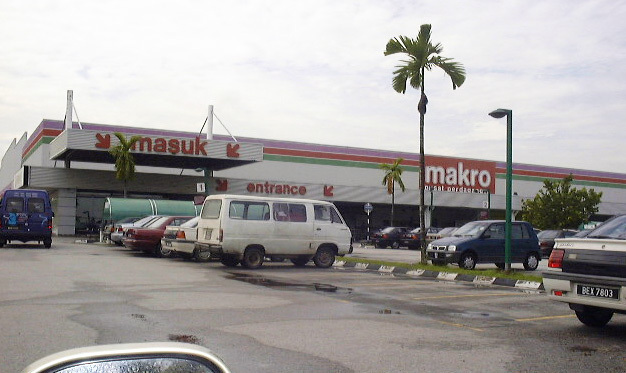 Makro branches in Malaysia were acquired by Tesco and eventually rebranded as Tesco Extra. As of 6 December 2006, Makro Cash and Carry Malaysia Bhd. started operating as a subsidiary of Tesco Stores (Malaysia) Sdn. Bhd. 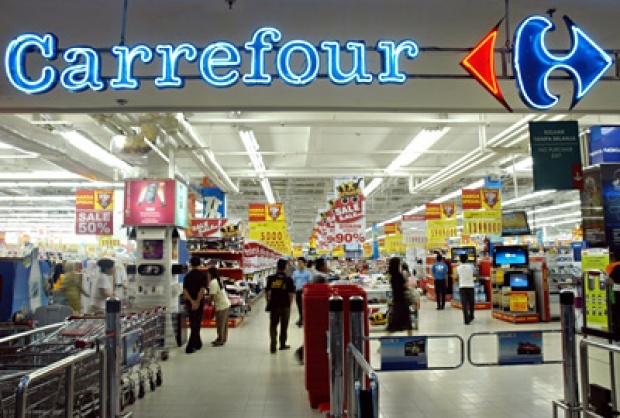 Carrefour (pronounced "kahfoo") originally from Annecy, France, was the first European hypermarket, supermarket, and department store combined into one. 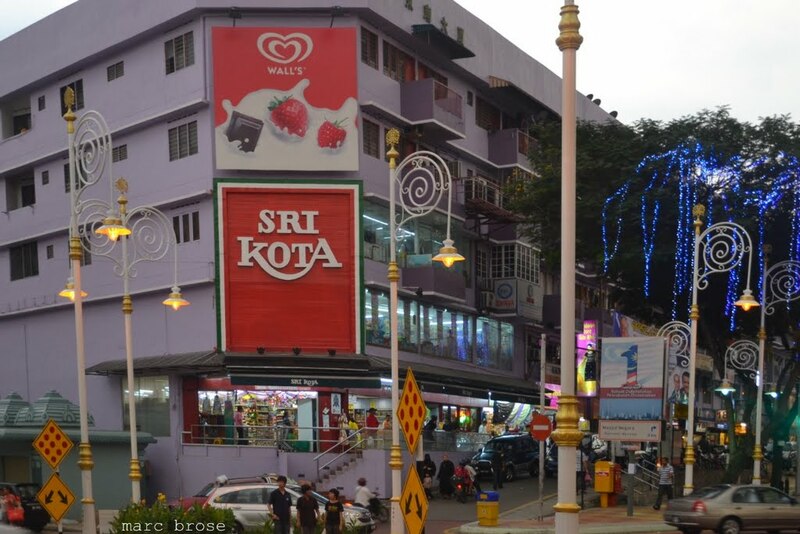 The first store in Malaysia was opened in 1994. 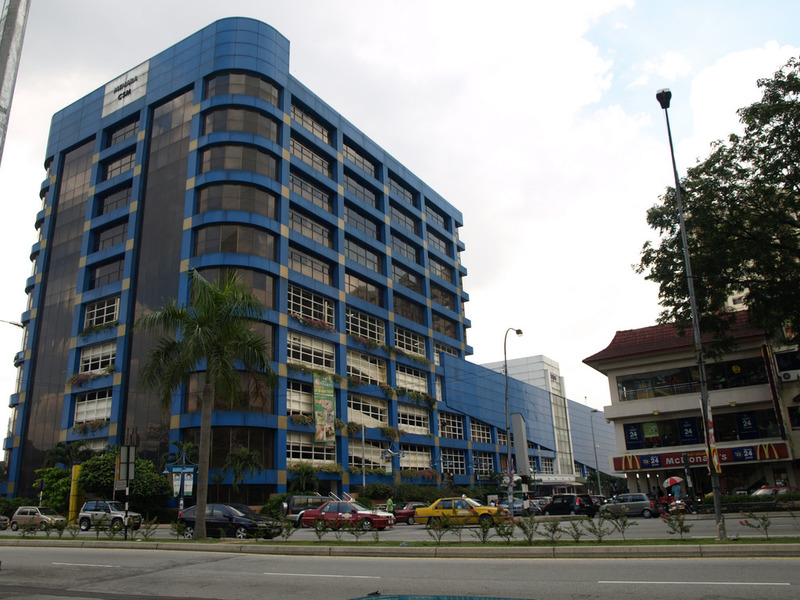 In 2012, AEON Co. Ltd. bought over Carrefour Malaysia and its subsidiaries for GBP147 million (RM781 million). All Carrefour hypermarkets and department stores in Malaysia were then slowly rebranded to AEON BiG. Originally from Japan, the acronym of JUSCO stands for Japan United Stores Company. 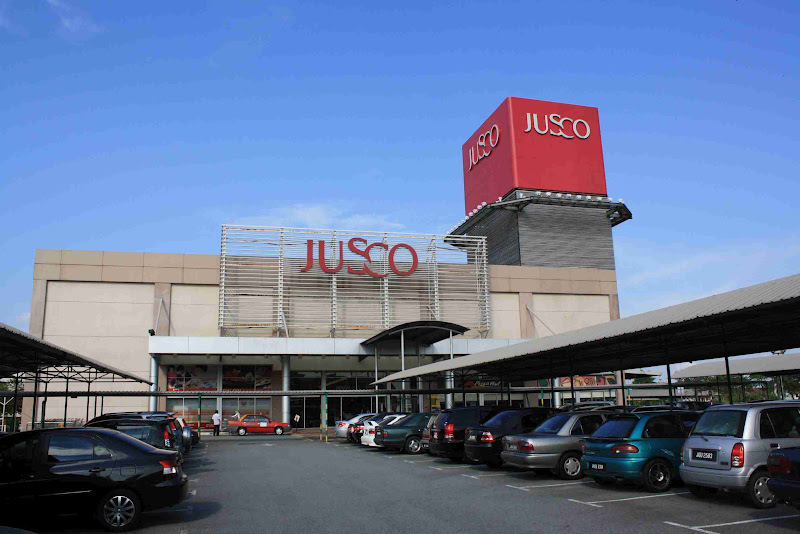 It was initially jointly-owned by Cold Storage and several other Malaysian companies, and was known as Jaya Jusco. The group in Japan eventually renamed to AEON. 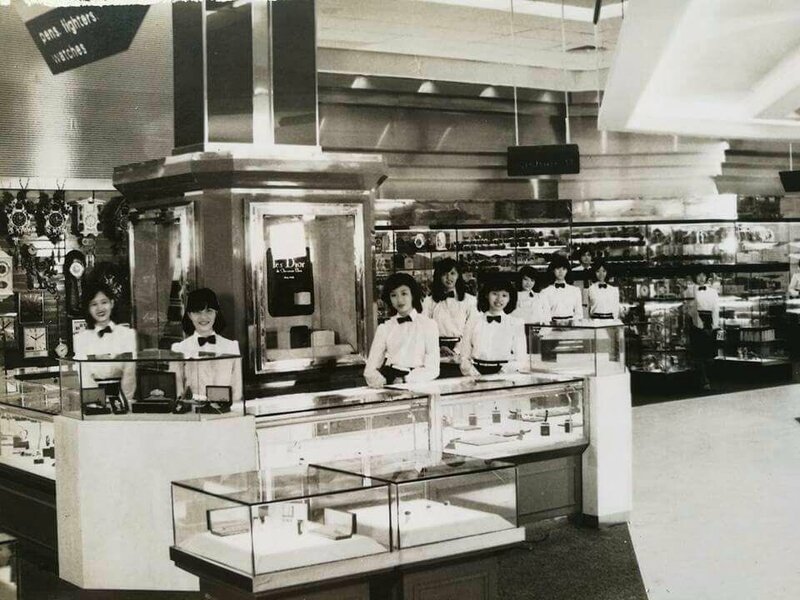 The first store to open outside of Japan was in Plaza Dayabumi, Kuala Lumpur in 1985. Following the decision of the company in Japan, the chain of Jusco hypermarkets in Malaysia were rebranded to AEON in 2012. 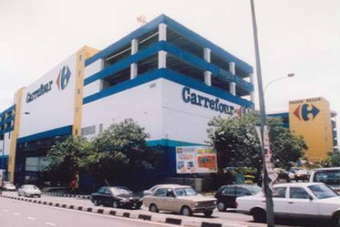 Back in the '80s, Atria shopping complex in Damansara Jaya in Selangor was called Gardenia Town Centre. It originally started off with Malaysia's first Japanese supermarket called Kimisawa and French department store chain called Printemps. According to this blogpost, having a Japanese-based supermarket was a novelty and although items sold were more expensive than other places, many families flocked to shop there. As the years went by and various companies took over, Kimisawa eventually turned into Parkson Grand and Printemps was changed to Atria Shopping Centre. In 2005, Parkson Grand was taken over by Giant supermarket. Atria was a typical hangout spot and a popular neighbourhood landmark for many years. "Besides eating at places like Esquire Kitchen and KFC, other places of interest were the games stores that the guys liked and Pay Less Books where book lovers could walk out with an armful of cheap books," long-time visitor Goh Ee Koon shared with The Star in 2011. The above pictures shows what Atria looked like before it was demolished and redeveloped to what it is today. 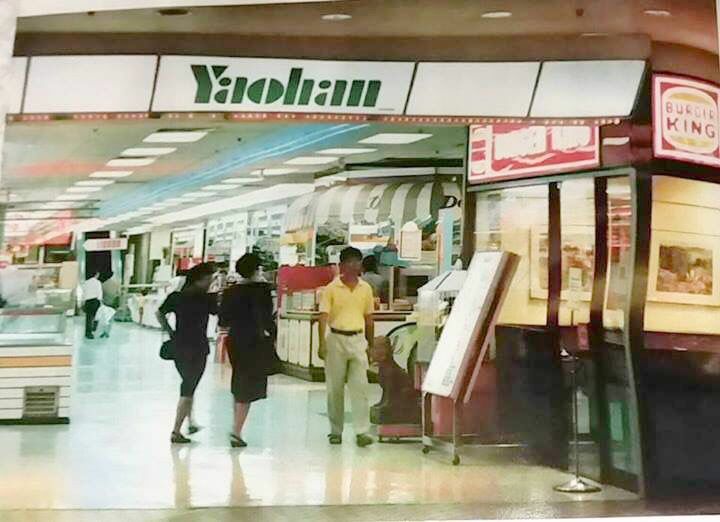 The first Yaohan store in Malaysia was opened in 1987 in The Mall, now known as Sunway Putra Mall in Kuala Lumpur. Yaohan department store offered a wide range of products from furniture to food, clothes, and accessories. 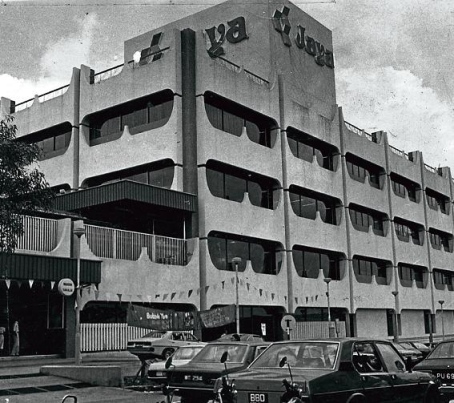 Yaohan department stores later popped up in Centrepoint, Plaza OUG, Kota Kinabalu, and Komtar in Penang. Branches later opened in Seremban in 1996 and Sunway Pyramid in 1997. In 1998, Yaohan Holdings Bhd. became known as Aktif Lifestyle Corporation Bhd. In 2004, all former stores were eventually acquired and changed to Parkson. 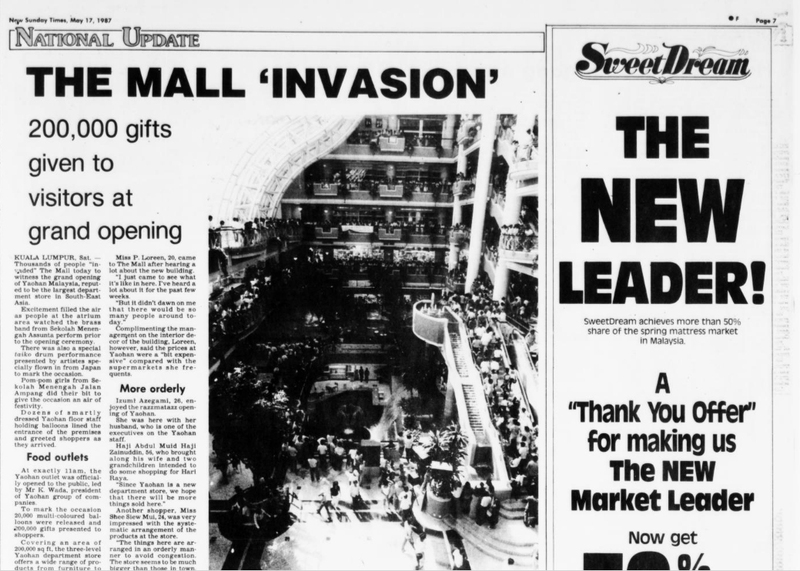 The newspaper clipping below was taken from New Sunday Times in 1987 when the first Yaohan outlet opened in The Mall, Malaysia. 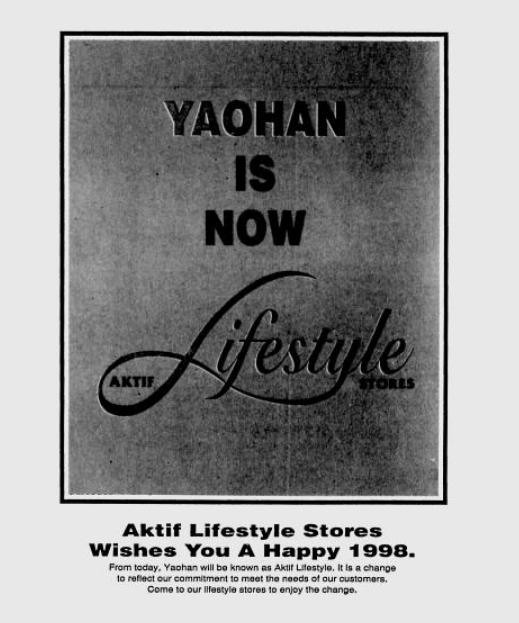 Yaohan became Aktif Lifestyle in 1998. Back in 2003, supermarket Hiong Kong had five outlets in Klang Valley and Selangor. In an article by The Star, the department stores joined in an agreement with investment holdings Ocean Capital Berhad. According to Securities Commission Malaysia (SC), Hiong Kong's former managing director Yap Kim Seng was sentenced to two years of prison. He was found guilty for submitting false revenue information to the SC regarding a corporate restructuring exercise with Ocean Capital Bhd. However, the High Court allowed an appeal that substituted the sentence with a RM500,000 fine. 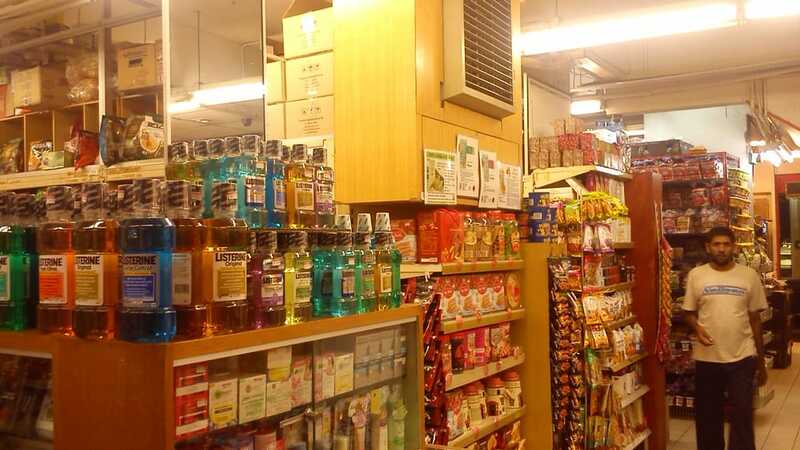 Hiong Kong supermarket operates as a subsidiary under investment company Tat Seng Fatt Holdings Sdn. Bhd., according to Bloomberg. The supermarket was eventually closed and replaced with The Store supermarket. 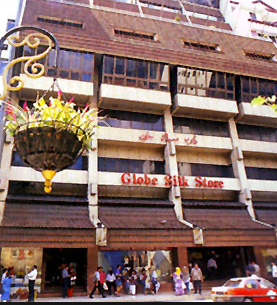 Globe Silk Store was one of the earliest departmental stores in Malaysia. 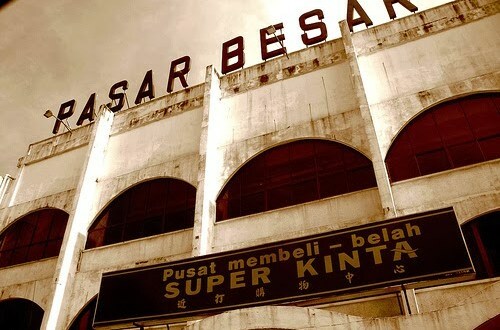 It was founded in Segamat, Johor in 1930. Its late founder, Tiratha Jethanad moved the store to Kuala Lumpur in 1947. They also had an outlet in Kuantan. Many would remember that it used to sell uniforms, shoes, and textiles. In their heydays, it was reported that the 12-storey building received up to 20,000 visitors a day! What started as a small general store boomed into a competing giant against Robinsons, John Little, and Whiteways in 1947. According to an article by The Sun in 2010, former owner of Globe Silk Store, Tan Sri Kishu Tirathrai, his wife, and two sons had to pay a RM200,000 fine or face jail for three months. They were found guilty for interfering and obstructing the sales of the store. Kishu, his wife, and two sons, declared bankrupt, had apparently requested to suspend the order while they raised enough money. The landmark store was eventually closed in 2005 after its creditors obtained a liquidation order. After dealing with the legal mess, the store was reopened as Sarah Hughes at Globe, which currently sells more or less the same things. 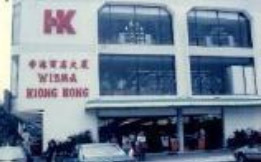 If you lived in Petaling Jaya, Selangor at some point in your life, you probably remember the popular landmark that was Jaya Supermarket before it became Jaya Shopping Centre. 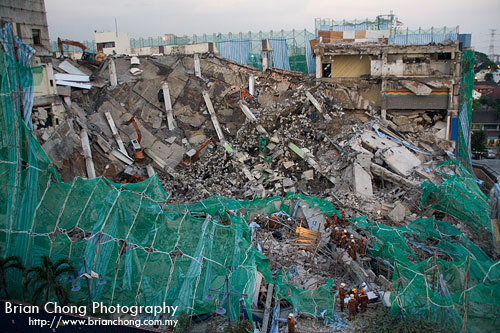 As it was being redeveloped in 2009, one portion of the place collapsed, killing two Indonesian workers. Apparently, work was conducted in secret in spite of failing to have necessary approvals. The architect and constructor had to pay a hefty fine for being responsible. A new supermarket was eventually rebuilt on the same site and still stands today as Jaya Shopping Centre. 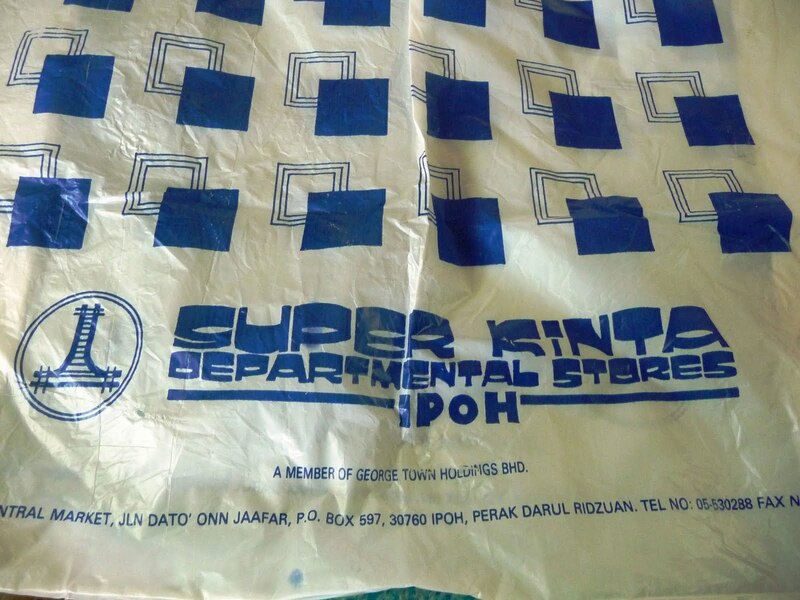 Super Kinta (affectionately called Super K) was one of the more popular supermarkets in the '80s and '90s, among others like Yik Foong, Ocean, Hankyu Jaya, Parkson Ria, Bazar Bulat, and Payless in Ipoh. Ask any person who lived in Ipoh back then and they might tell you about the wet market and food court that was part of the building. The Urban Transformation Centre (UTC) in Ipoh now takes its place where the department store used to be. In the 1970s, Lam Looking Bazaar building housed a well-known department store in Ipoh called Perak Emporium (near Yik Foong). However, according to this post, economic downturn and fire left the place dilapidated in 2005. 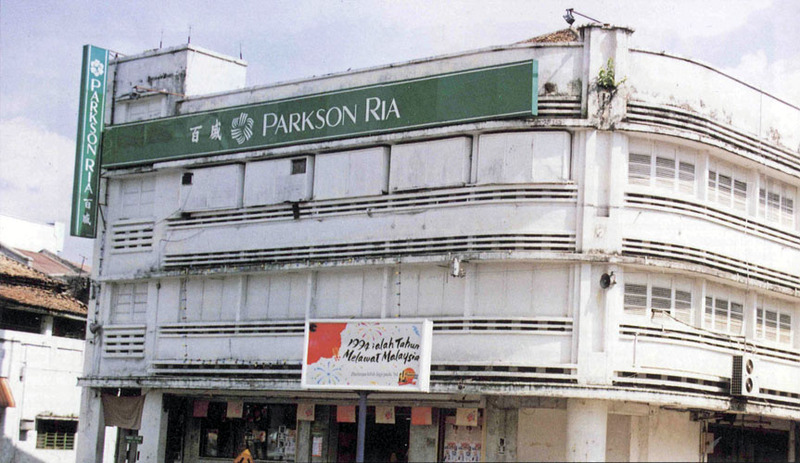 The building was later turned into Parkson Ria in the '80s. 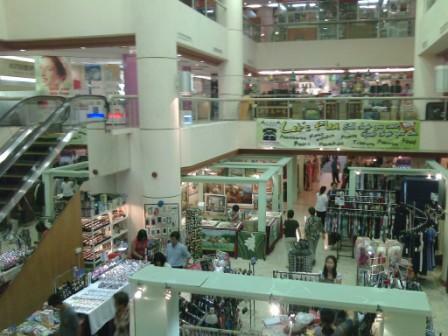 The branch in Ipoh Garden was previously known as Metrojaya, before it was turned into Parkson Ria. However, all branches eventually closed down. No one knows for sure the reason for their closing, but according to this post, other "newer" businesses opened up that put them out of business. 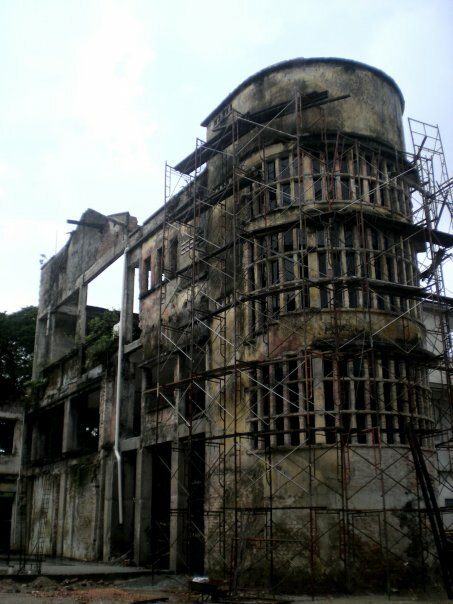 The back of Lam Looking Bazaar in 2009. This iconic supermarket in Brickfields had been running for 30 years before it was closed down on 31 May 2017. 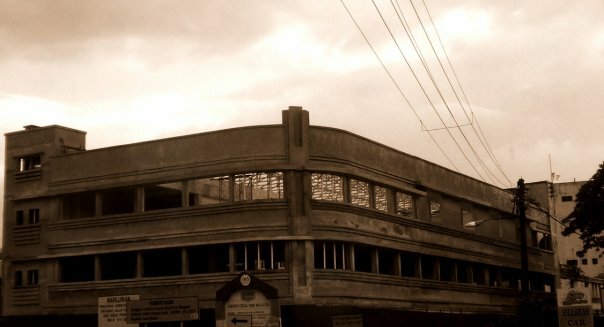 It was a place where children could get their stationery and families could do their weekly grocery shopping. According to The Star, the owners had simply said that "it was time to go" when they were asked what the reason was for their closing. Their neighbours speculated, however, that it might have been due to high rental costs. "It was easy when everything was under one roof at Sri Kota. Now I will have to go to three or four shops to get what I need," 56-year-old Sivaraman Savabathy told Malay Mail last year. Do you recall any other old department stores/supermarkets? Share with us in the comments section below! Its after-sales service will be discontinued effective 1 July. "The wife had more of a picture than the husband," a source revealed to the US publication.